As September comes round and the new term starts I've been looking back over last term's school visits . It was a such a busy time that I didn't have chance to blog about them then so here's a round-up of the highlights. 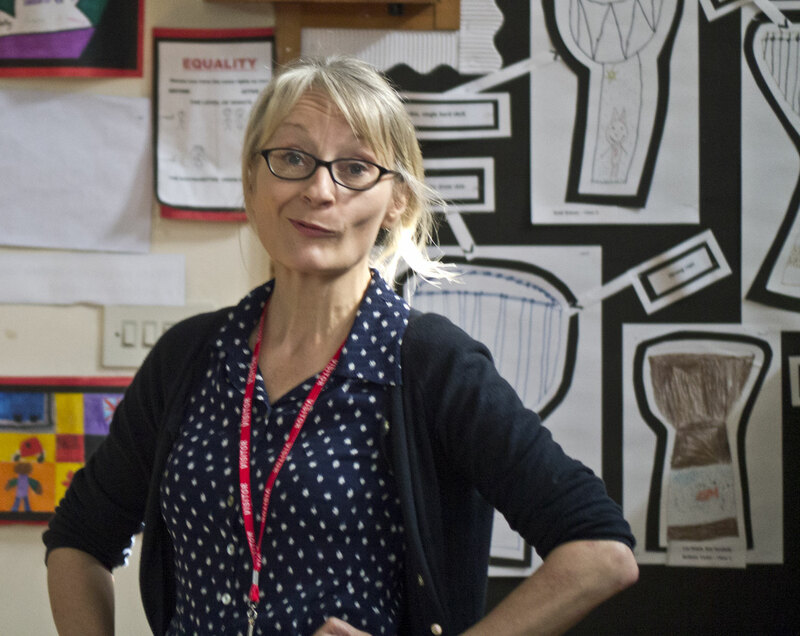 When is a school visit not a school visit? When it's a visit to a group of students from Cambridge Home Educating Families. Four visits in fact. 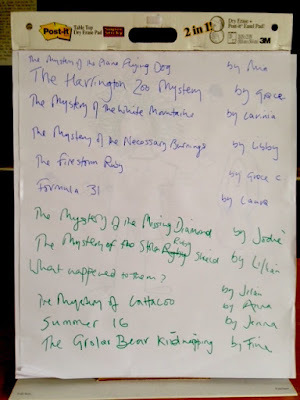 I was delighted to be asked to give a course on all aspects of writing a mystery. We had great fun plotting crimes and creating detectives and villains and setting clues - there were so many great ideas, which produced some brilliant stories. Here's a list of some of the titles - they all sound amazing, don't they? And how about the story we planned as a group. The Mystery of the Cursed Custard Creams. Who wouldn't want to read that book? Thank you to everyone who took part for joining in so enthusiastically and to Fathima Farouk who organised everything and made me feel so welcome. 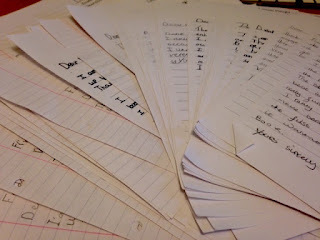 I really enjoyed meeting you all and sharing your writing ideas. I was delighted to be invited to Litcham School, having been their author 'mascot' for the Kids Lit Quiz national final last year (they came a close second, having been the national winners the year before). 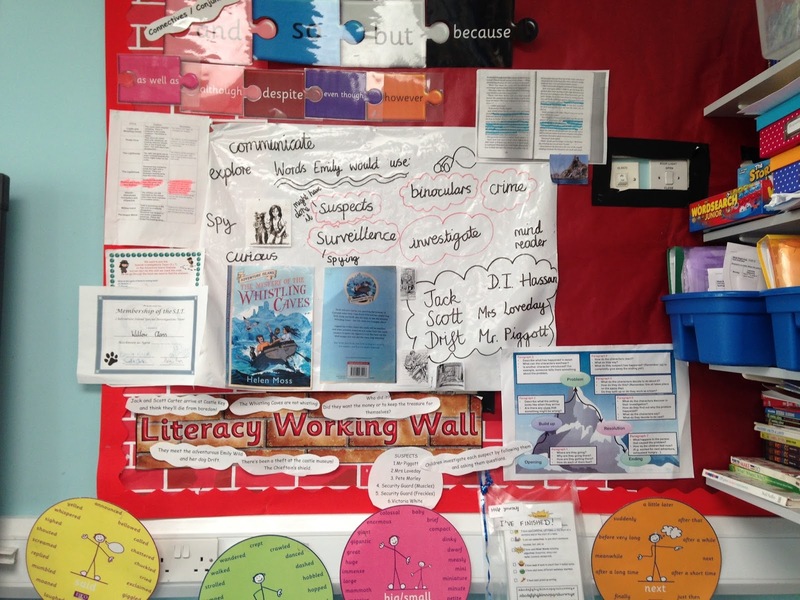 It's an amazing school with a really spectacular buzz about reading - due in large part to their inspiring librarian, Cathy Berry. You can see from the beautiful display in the library just how much dedication goes into everything there. It was an action-packed day, starting off with at talk and Q & A with KS2, followed by workshops with groups of lovely Y7, 8 and 9 students. We had great fun, coming up with ideas for spooky suspense scenes, crazy chase scenes and great characters. 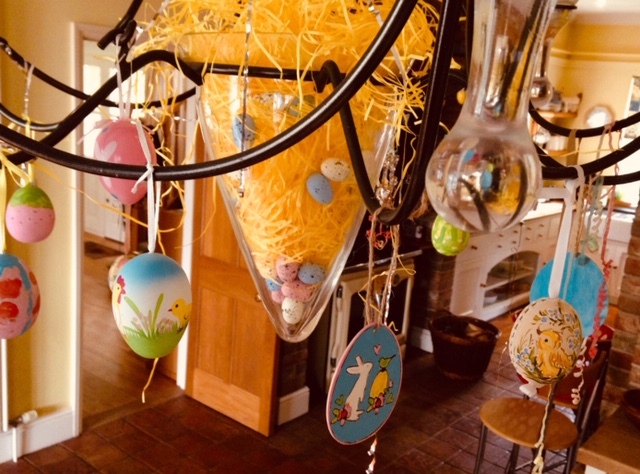 Thank you to everyone who took part for making me welcome and making it such fun, and to Cathy Berry for organising it all and looking after me so well. You really did make me feel at home and I'm looking forward to developing event closer ties with the school in the future. 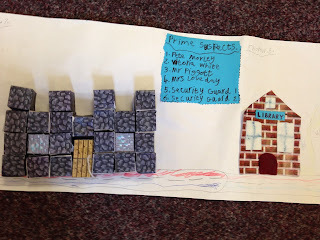 You can read some of the students' comments about the visit and what we got up to on their excellent library blogs here (Y6) and here (Y7 and 9). I'm so pleased you all enjoyed the day. I did too! 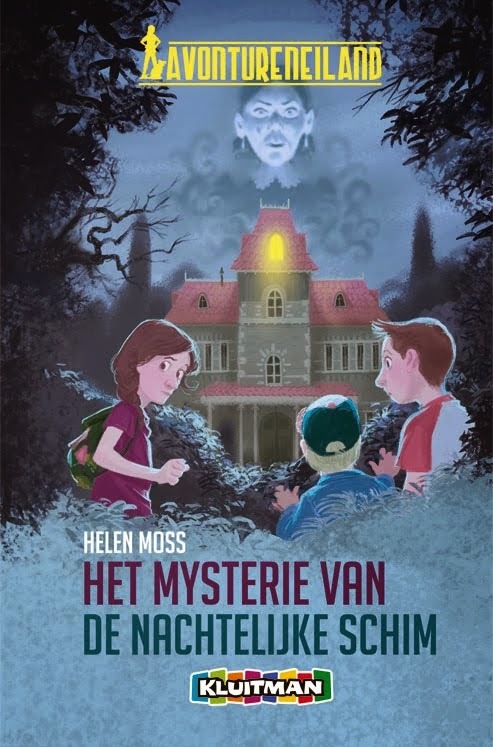 What a delight to go off to York to spend the day with Y3 at this lovely school - where they had been reading The Mystery of the Secret Room as part of their "It's a Mystery" topic. 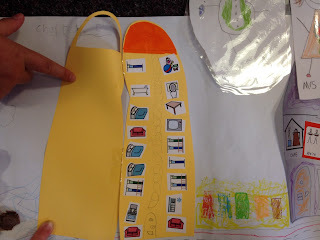 I was so excited to see all the amazing activities that were going on around the book - including performing a play and making their own 'Keeper of the Key' scrolls - adding the names of the members as they were revealed- to give just two examples. 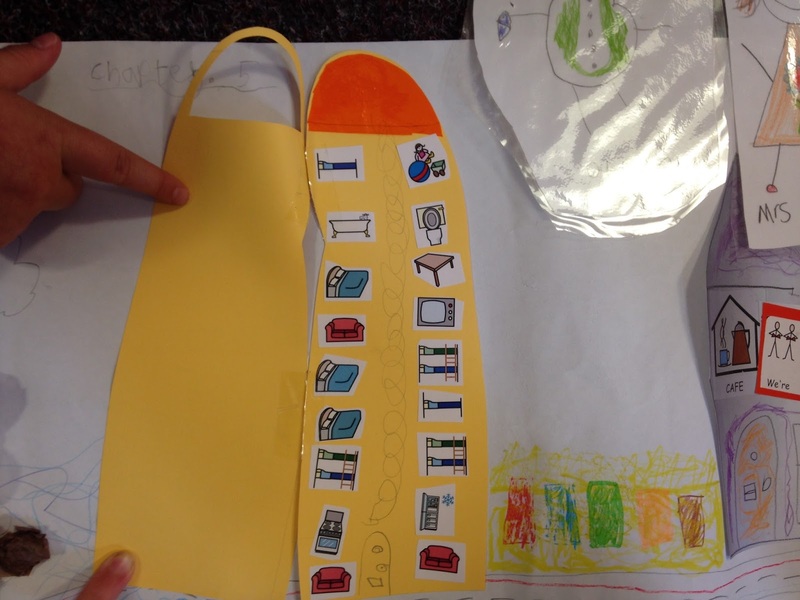 The children there are very lucky to have such creative class teachers. 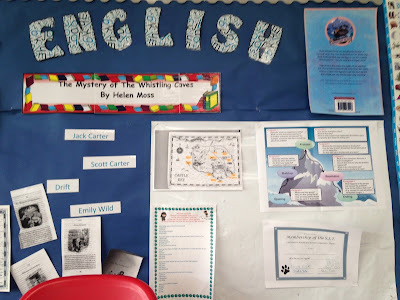 I did the Mystery of the Missing Treasure workshop with each of the three Y3 classes and we had great fun plotting crimes, cracking codes and reading maps. Well done everyone for all your brilliant ideas and for making it such fun. It was such a busy day I completely forgot to take any photos - although I did take a picture of this coded message that two of the girls gave me to take away with me. 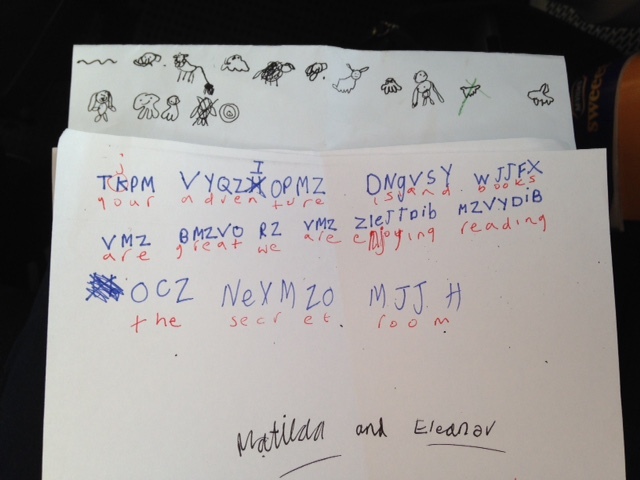 Deciphering the message kept me busy on the train home! Thank you to Matilda and Eleanor, and to everyone at St Peter's. 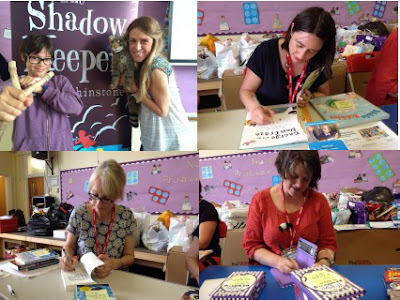 I visited Linton Heights in the week before the Linton Children's Book Festival. I had a great day talking about writing mystery stories with Y3,4 and 5. Everyone was very knowledgeable about what makes a good mystery and came up with brilliant ideas. We had lots of fun acting out a scene from The Mystery of the Black Salamander and seeing what Emily carries in her investigations kit. What made it even more special was that I then saw so many of the same children at Linton Festival a few days later. Having all those friendly, familiar faces around really made the day for me! I think this is one of my favourite school visit photos ever! It's my thinking and laughing at the same time face! 'Quizzical' I think is the technical term! Thank you to everyone at Linton Heights for making this such a great day and adding to the excitement of the Festival. 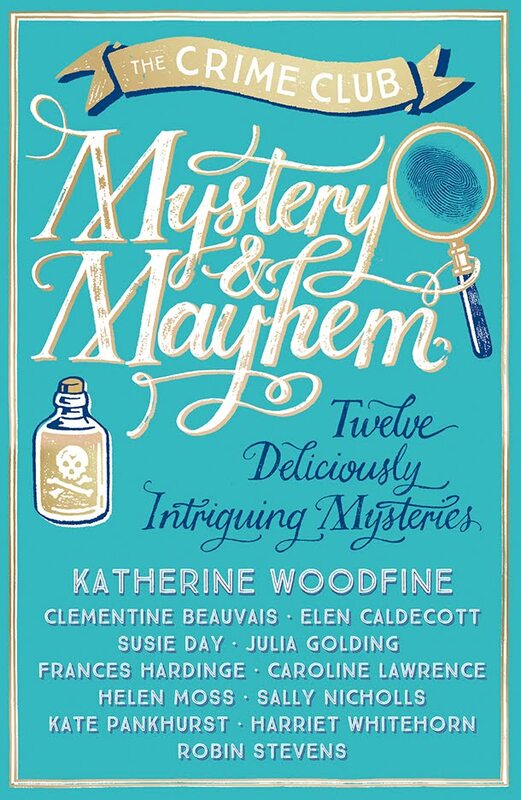 May was hugely exciting with the publication of the Mystery and Mayhem anthology - containing my story The Mystery of the Pineapple Plot (along with stories by eleven other brilliant authors). 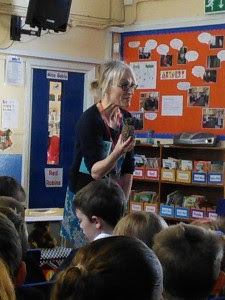 As part of the launch tour, lovely Rachael Rogan of Rogan's Books in Bedford (an amazing new independent children's bookshop) organised two school visits. 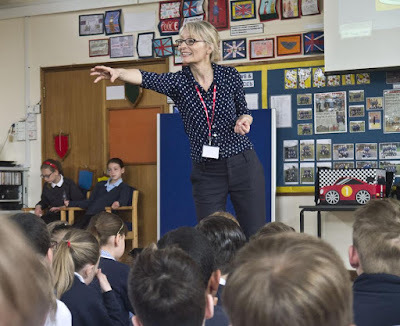 I had a brilliant time bringing mystery and mayhem to Albany Academy, Great Barford and Rushmoor School, Bedford, along with fellow author and good friend, Robin Stevens (who writes the fabulous Wells and Wong mysteries.) School visits are even more fun when you get to do them with a partner in crime! I popped into Great Chesterford School to present the prizes in the story-writing competitions which were set after my visit in World Book Day week. 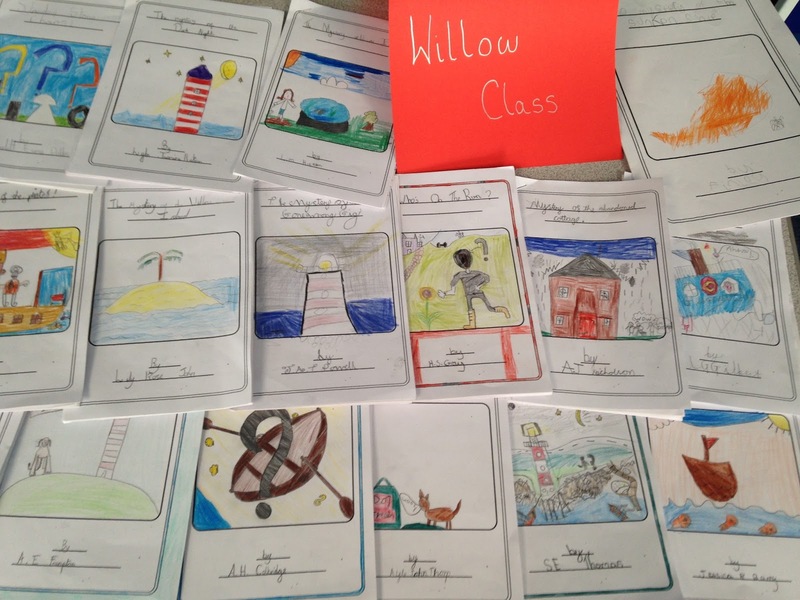 All the children had written amazing stories and I had great fun reading them all. 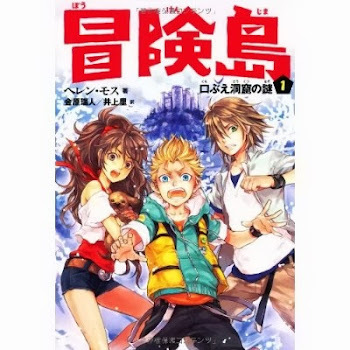 You can see some of the artwork and book cover designs over on the Art Gallery Page. Well done everyone - I really enjoyed coming back to your lovely school. 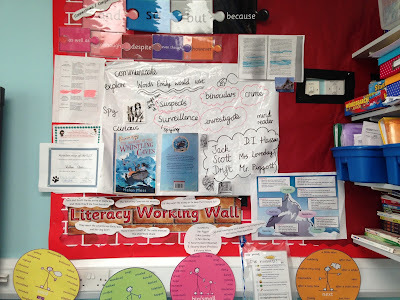 Read all about this visit - which was the launch of my connection to this brilliant school as their Patron of Reading in this blog post. Next I was off to spend the day at this amazing school in Oxfordshire. 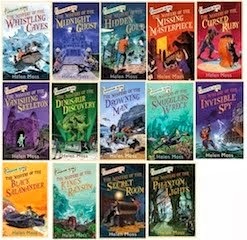 I knew it would be a great visit, as the year before the teachers had sent me lots of lovely pictures of the children reading Adventure Island books. 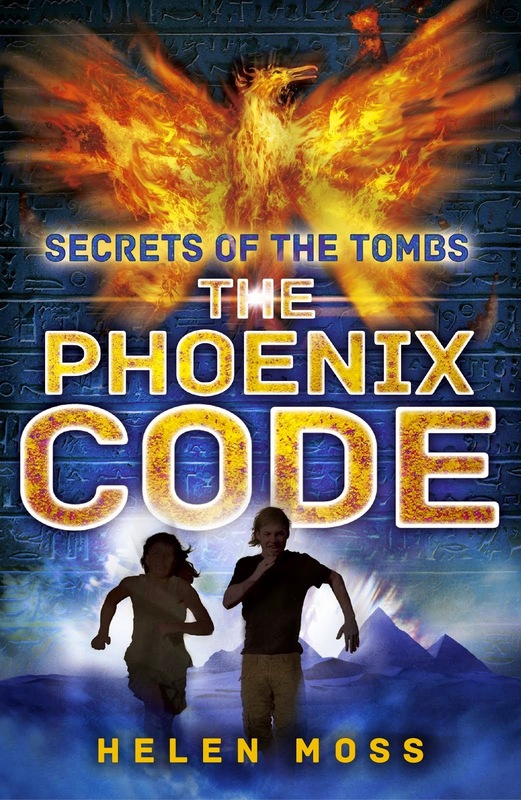 I knew they'd been learning all about mysteries and even writing their own books. When I got there, I was thrilled to see all the books arranged on the tables for me to peruse. They were absolutely brilliant. 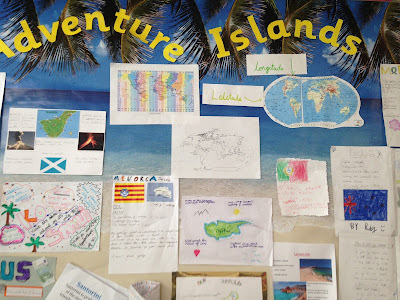 And then, in the classrooms, I found all kinds of displays related to Adventure Island. The students there are so lucky to have such creative and clever teachers to share the love of reading and writing with them. Thank you to everyone at Madley Brook for all the amazing work and for making me so welcome. 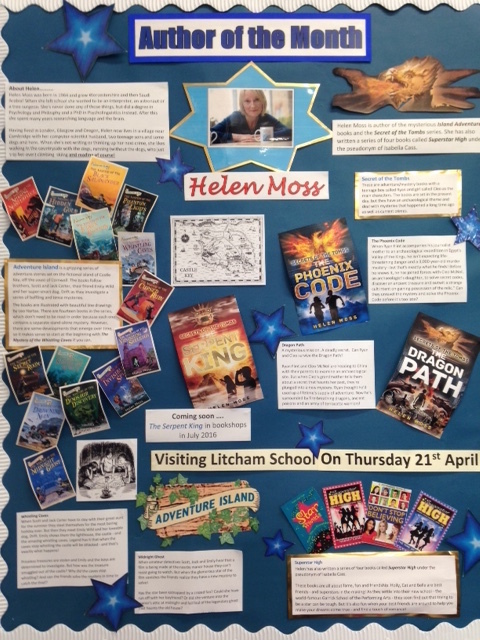 Seeing all those displays and the work that the teachers have put in before the visit really makes it a special day for a visiting author, and I'm sure it makes it much more rewarding for the children too. 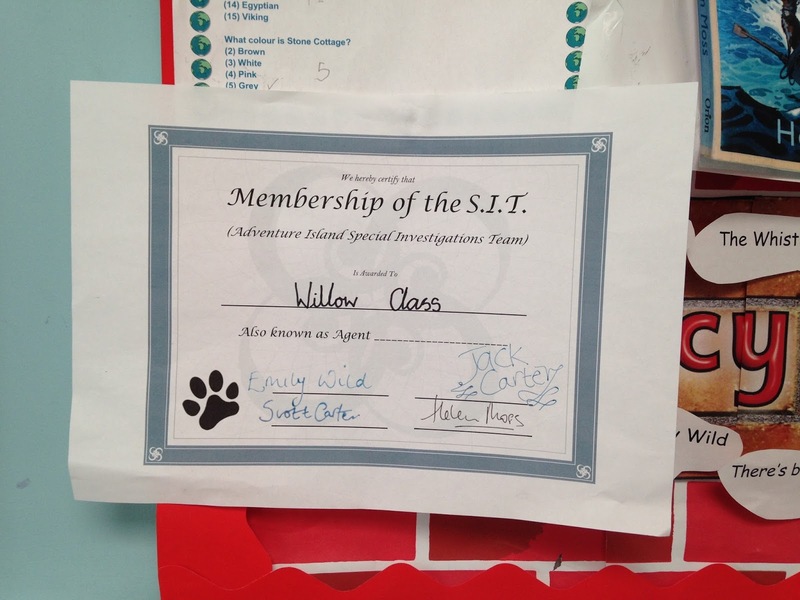 Willow Class had even joined the Special Investigations Team on the Adventure Island website and received their certificate! How cool is that? 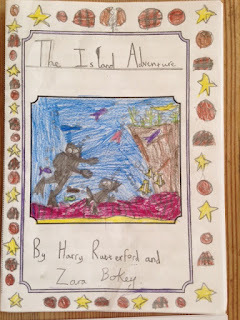 More of the children's book cover designs can be seen on the Art Gallery Page. It's always lovely when an invitation to visit a school is initiated by a young reader in that school who has enjoyed the books. That was the case with this very special visit. 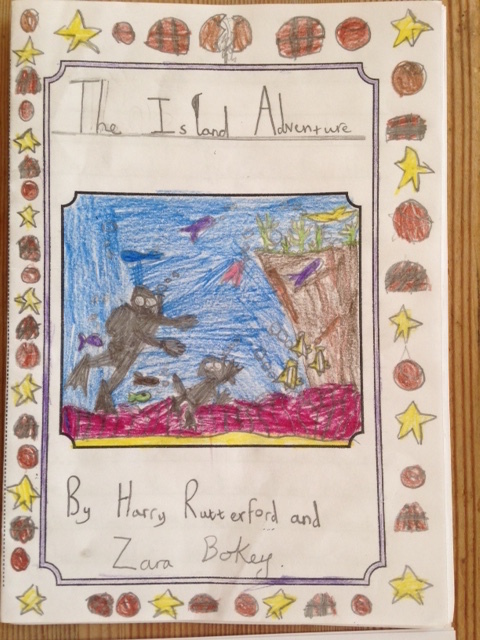 I was contacted by the Mum of an amazing young Adventure Island fan called Nathan. It was such a pleasure to spend time with Nathan, his lovely family, school friends and year group. 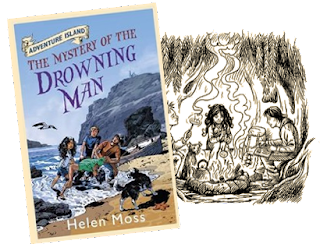 We had great fun doing the Identity Unknown workshop, based on The Mystery of the Drowning Man - trying to figure out the identity of the mystery man - both Y5 classes got it right - they were just too smart for me to catch them out! 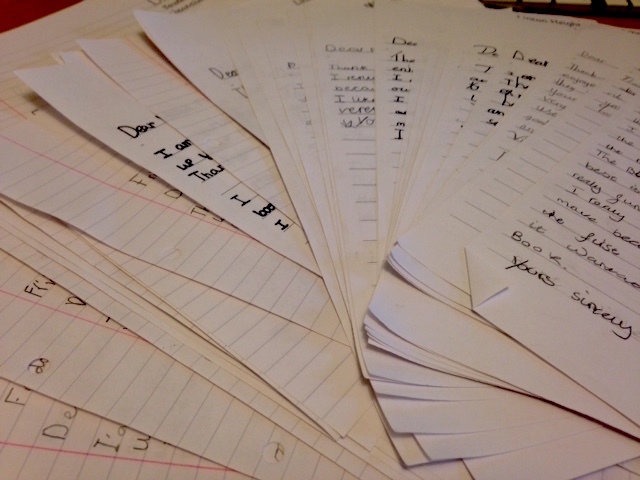 Some of the students sent me some of their excellent writing - which is featured in the Story showcase on the Young Writers page. 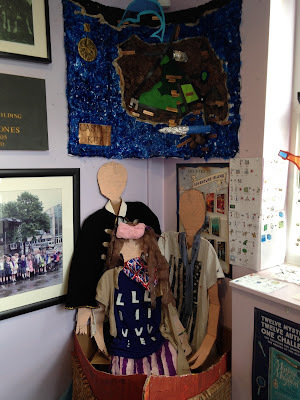 Nathan and his friend Charly had created an amazing collage that extended for miles illustrating the story of The Mystery of the Whistling Caves. They'd only got up to Chapter 10 and it stretched from one side of the room to the other! It's one of the best pieces of Adventure Island artwork I've ever seen. Thank you so much for sharing it with me. The lighthouse even opens up and has all the floors in the right place! You can see more of this brilliant mural on the Art Gallery Page. There was a fantastic model of Jack, Scott, Emily and Drift and a map of Castle Key in the foyer too. You can see some pictures of the visit on the school website here. Thank you to every one at Bishop Martin, and especially Nathan and your lovely Mum and Dad who looked after me so fantastically - picking me up and dropping me off and even providing me with tea and cake in the garden! From one amazing young book fan to another. 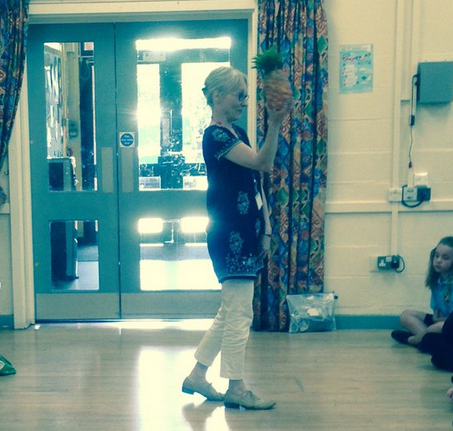 I was delighted to be invited to take part in the second 'Mango Day' - which raised lots of money for Beanstalk ( a national charity which recruits and supports trained reading helpers to provide one-to-one literacy support to children who have fallen behind with their reading). 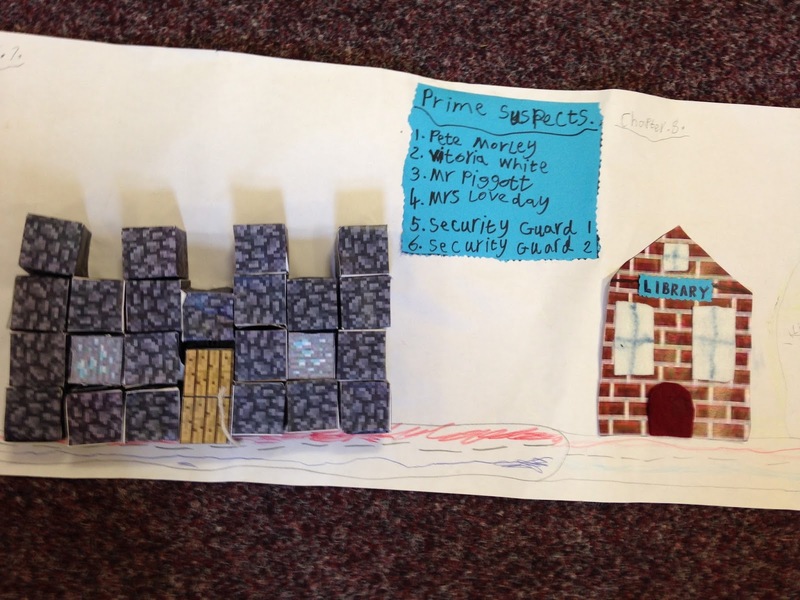 Reuben set up his book review blog when he was in Y4 and it has gone from strength to strength. He and other young readers write and draw reviews of books and interview authors. 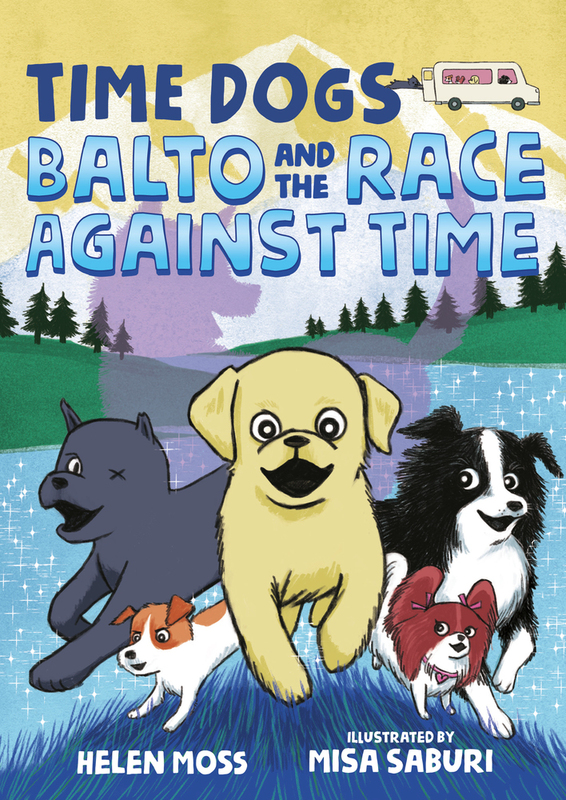 You can visit the Mango Bubbles site for lots of great book review and news here, and find out more about Beanstalk here. 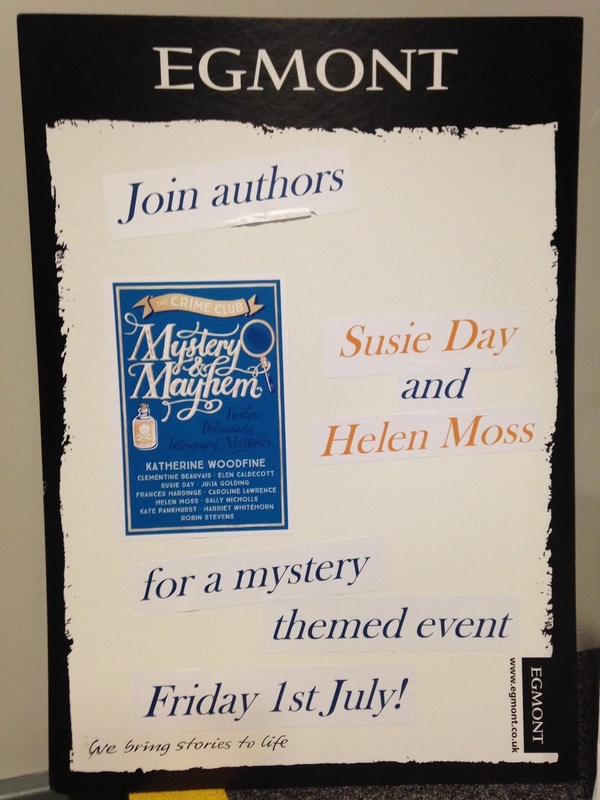 This was another stop on the Mystery and Mayhem launch. 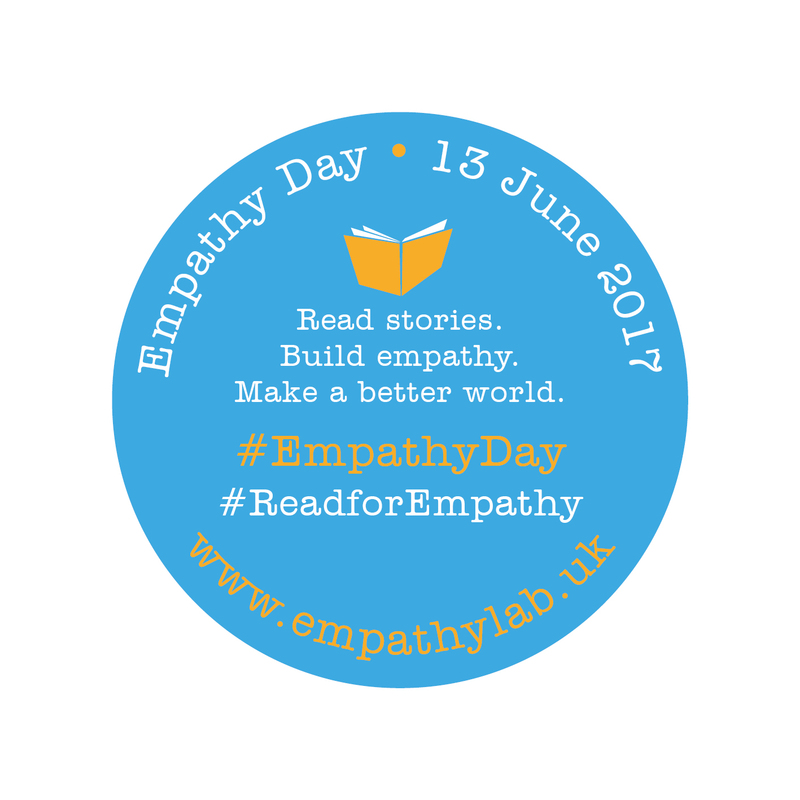 Organised by Booka Books in Oswestry - one of the absolutely best ever independent bookshops. 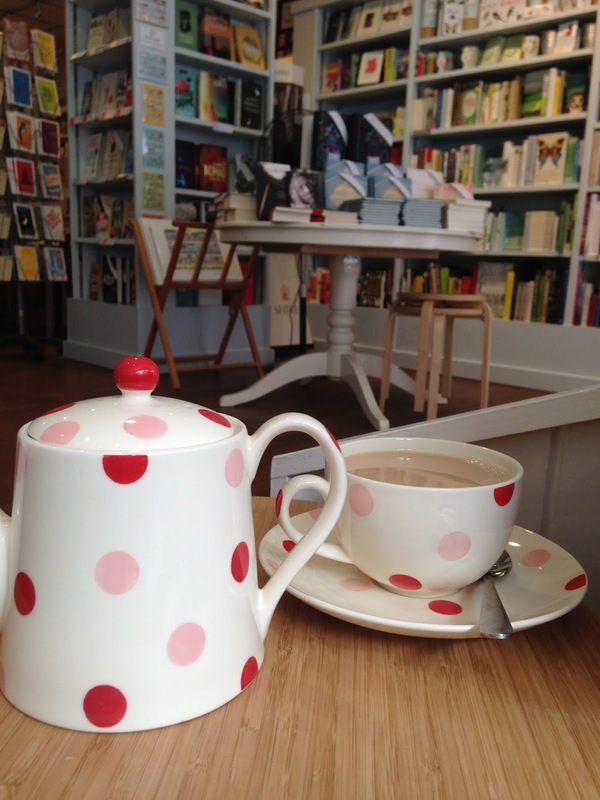 First there was time for a lovely cup of tea in the bookshop. Then on to The Marches School to talk to a number of Y6 groups from different primaries. 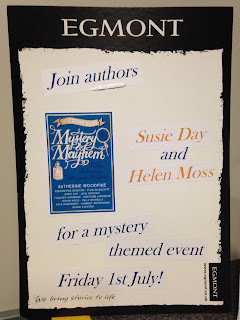 This time I was sharing the stage with the brilliant Susie Day (author of great books including Pea's Book of Holidays and The Secrets of Billie Bright). 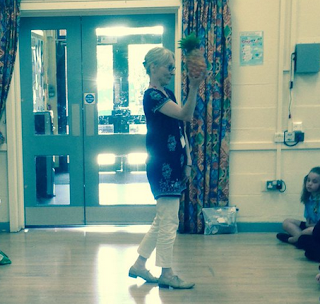 We talked about our stories in Mystery and Mayhem (yes, I was on about pineapples again! 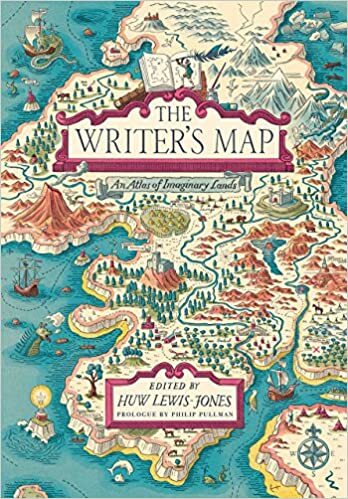 ), and since both our stories in the anthology are historical mysteries, we got the children involved in thinking up ideas for great historical settings, events and characters for their own mystery stories. The group came up with a great story about Queen Victoria being kidnapped as she was being transported through the forest on her way to the coronation. The culprit? Jeff the wagon driver, of course! It was great fun. 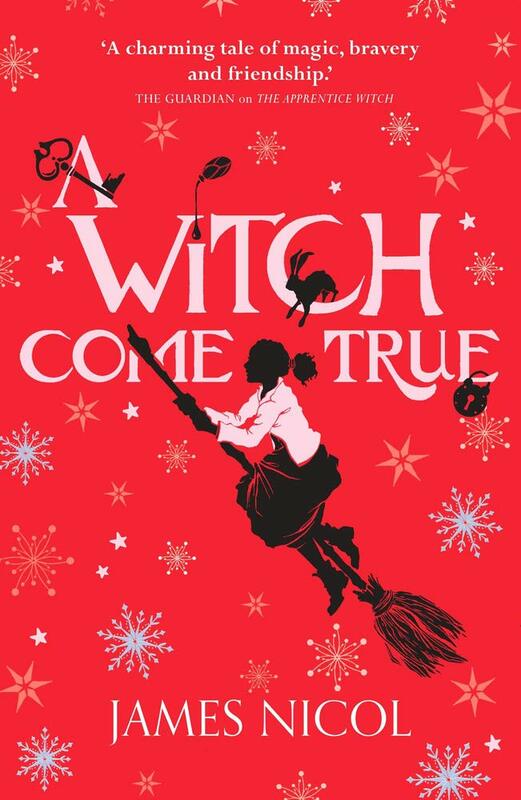 Thank you to Susie for being such a great co-conspirator and to Carrie Morris from Booka Books for organising everything so beautifully and looking after us so well. And then there was the July launch tour for The Serpent King . . . four days, three schools and one library . . . coming to a blog post near you soon!